Acne, skin rashes, moles and warts—we’ve had them too. We know what it’s like to have something irritating and even concerning on your skin. That’s why we’re here. At Center for Dermatology, we carefully examine and treat your blemishes and skin conditions so the world sees you—instead of imperfections—first. Acne—one of the most common skin disorders—is caused by clogged pores and can be both irritating and embarrassing. We create a personalized treatment for your unique skin type to reduce blemishes, prevent scarring, and even eliminate your acne. Rosacea causes redness, visible blood vessels, and occasional pimples or small blemishes on the face. We treat your individual skin type to reduce redness and clear blemishes with topical medicines, laser and light treatments, and antibiotics when needed. Skin cancer is caused by skin cells that grow abnormally. We understand being nervous or scared after finding an odd-looking spot on your skin, but you can rest assured that our medical staff will give you a full examination and provide the best treatment options for cancerous skin cells. Although moles are usually harmless, some can become abnormal or even result in skin cancer. This is why we give you a full-body check for abnormal-looking moles. If we find a mole that we are concerned about, there are removal options to keep you and your skin safe. Precancerous lesions are patches of irregular cells that, if not treated, can develop into skin cancer. These lesions can look like small, scaly lumps or growths, and often appear on your ears, cheeks, scalp, nose, and other areas with lots of sun exposure. 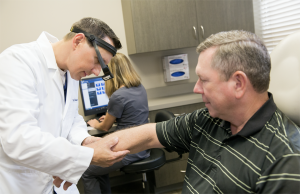 We fully examine any spot on your skin that may be precancerous and provide treatments to remove them. A benign (harmless) lesion on your skin can look similar to one that is malignant (life-threatening). We assess your skin and other symptoms to confirm whether your lesion requires treatment. Rashes may be red, itchy, painful, and almost always frustrating. Though most rashes may look similar, and some may be more problematic than others, we assess, diagnose, and treat all types of skin rashes. Eczema (also called dermatitis) produces itchy rashes that look red, scaly, and sometimes dry. When your skin is inflamed, it can look red and become irritated. We identify your specific type of eczema and tailor a treatment plan to clear eczema and manage your symptoms. Psoriasis causes patches of thick, red, dry skin commonly found on the elbows, knees, and scalp, but can occur on any part of the body. While this skin condition is common, the scaling, inflammation, and irritation it brings can be frustrating. There’s no cure for psoriasis, but we reduce your symptoms while keeping outbreaks under control. Redness, itching, hair loss, dandruff, or bumps on your scalp can come on suddenly or they can be chronic problems. If you have a concern with your hair or scalp, we’ll diagnose and treat the area so you can be confident with your appearance. Dry, itchy skin can be the result of weather, allergies, genetics, and more. After a skin evaluation, we’re able to create a treatment plan to moisturize your skin and keep it healthy. Molluscum is a common, benign, yet contagious virus that presents as flesh-colored bumps that can stick around for a few months or up to several years. We can treat molluscum with a variety of therapies to prevent them from spreading or causing other problems. Warts are small, rough (normally harmless) skin growths that appear when a virus infects the top layers of skin. This is a common, benign, contagious contusion caused by the HPV virus. We have a variety of treatments available to help get rid of your warts. Sometimes removing a skin growth is the best way to determine its seriousness. 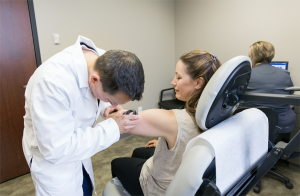 Our medical team carefully examines and removes concerning skin tissue to help keep your skin and body safe. Not all dermatologists are surgeons. Dr. Zabel is professionally trained as a skilled surgeon including Mohs surgery. Removing a small piece of the skin to examine under a microscope by a dermatologist is called a biopsy. While it may sound scary, most are entirely pain-free and low-risk procedures. A simple procedure of cutting the skin to remove the growth or specific tissue. Mohs micrographic surgery is used to treat aggressive or recurrent skin cancers. During this surgery, the lesion is removed along with a very thin layer of skin tissue, which is immediately frozen, stained, and microscopically examined for cancer cells. Only the cancerous tissue is removed, preserving as much of the surrounding skin as possible. Once the cancer is completely removed, the procedure is completed with a cosmetically appealing result. Mohs is effective for most types of skin cancer with a 99% cure rate. 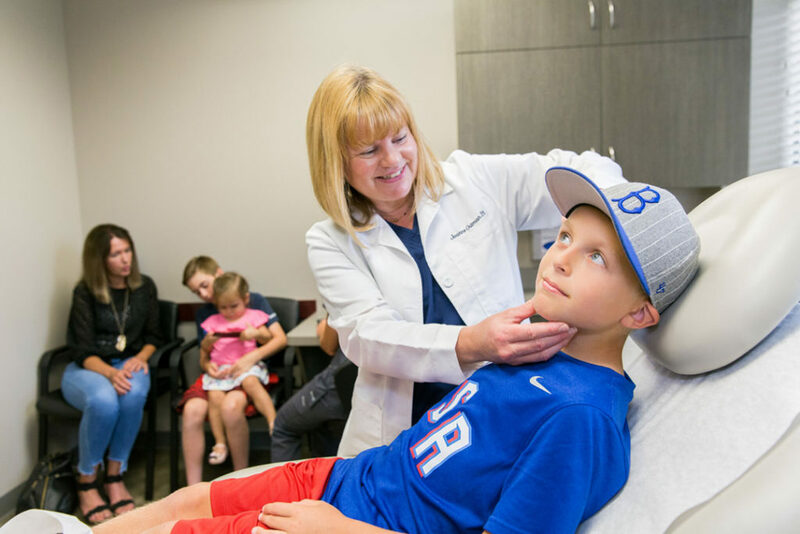 If you have any questions about our medical dermatology services or surgical procedures, call our office at (952) 469-5033. Your skin is our focus.